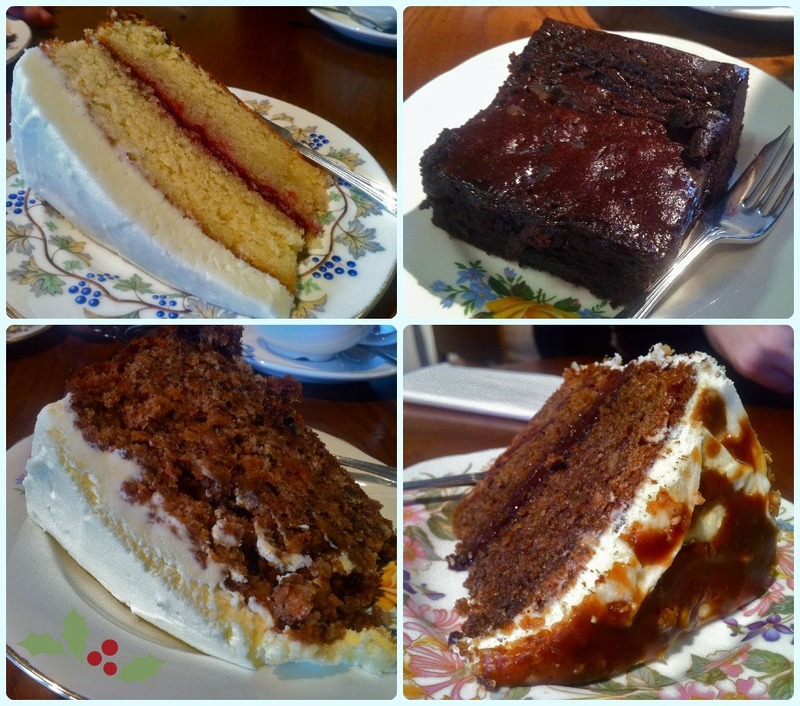 Back in January this year, I wrote my first ever blog post on a little place called T&Cake in Almondbury near Huddersfield. My husband had been admiring their logo on a design website, soon realising it was only about an hour drive from Bolton. Their identity was created by Build's Michael Place, previously of the Designer's Republic. Being a graphic design widow, I know these chaps are good. Really good. Stephen and Tracey Jackson's love of good design is only superseded by their fondness for great food. I praised them in my original blog post, so I was interested to see how they had progressed almost a year on from our first visit. A few weeks ago we were chatting to our friends Kevin and Lucie about tea rooms and nice places to eat out which involve cake. T&Cake was an obvious choice. It wasn't long before we had planned another trip to Almondbury. We arrived about 11.40am, so it was still nice and quiet. We had learned from our last visit and parked on a nearby street, as you can only park outside for an hour. However, Stephen told me there was a car park round the corner at the Sure Start Centre, and we later noticed a pub car park which could be used as it appears to have shut down. T&Cake looked the same, but felt different. Although it was great last time, the pace seemed much more relaxed. I can only liken it to that feeling of your new job no longer being new. It's that stage where you are confident in your own knowledge and ability, and feel you can take on the world. Last time I only saw the specials board as we paid our bill (I was too excited to notice when we walked in...), so this time I paid special attention to it. I ordered the Boston baked beans with slow cooked belly pork, tomato and molasses with cornbread and Lucie ordered the toasted sandwich of manchego cheese, serrano ham, roast garlic aioli and membrillo. This is where T&Cake is a little bit special. It feels like a cafe or tea room because of the relaxed atmosphere, but remember... Stephen has worked in a Michelin starred kitchen. It shows. There is no classical French here, but these dishes are comfort food perfection. Brilliant ideas paired with perfect execution. The toastie was as far removed from bread and cheese squished in a Breville as you can get. Sweet yet salty with melted manchego cheese. Amazing. As far as the beans were concerned, I was sold after reading the word 'cornbread'. The rest of the dish was pretty spectacular too; smoky beans with soft pork belly, served with a crisp red cabbage and spring onion salad. I was one very happy lady! The boys didn't do badly with their choices either. Although the welsh rarebit was good last time, this one had clearly been honed into something wonderful. It was darker and richer and large enough to feed Hagrid during a period of extreme hunger. Topped with a perfectly poached egg, this was a real winter warmer. 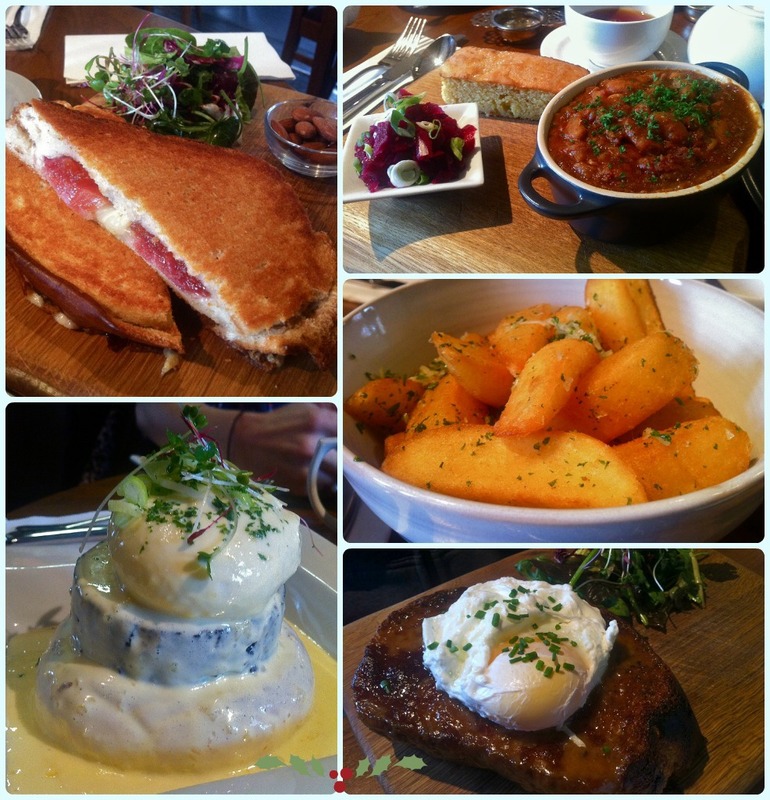 Likewise, the eggs benedict looked amazing. I didn't try this one, but Kevin assured us all that it was all kinds of ace. At this point, we were ready to burst. Nonetheless, it was cake time. 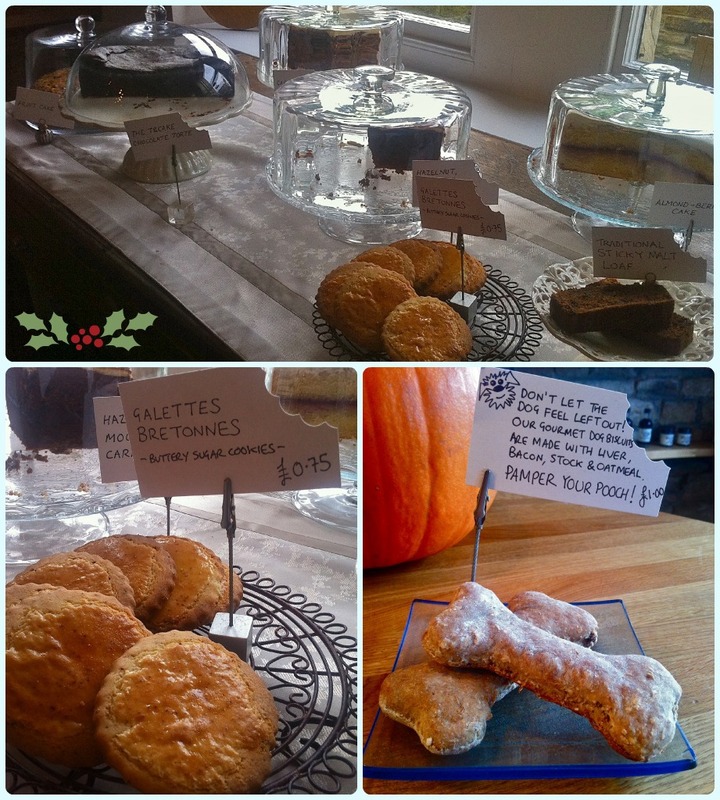 I had genuine excited belly ache at the prospect of sampling some of Tracey's baked goods. I still have fond memories of the cakes from my first visit, plus Kevin and Lucie are cake fans. I knew they would love it, so I was excited for them too. Wow wow wow. These were better than last time. Almondberry - almond sponge with a rich jam filling and covered in beurre noisette frosting. Tangy, sweet and perfectly balanced. Love it. Chocolate, ginger and chilli brownie - looks really firm but is actually mouse like in the middle, moving to a chewy outer edge. Not for the faint hearted, this is enough chocolate to cure depression. Carrot cake - always a good barometer. I hate carrot cake which is bland, full of hard nuts and is covered in actual cream cheese. Cheesy cheese. This was none of those things. It was packed with warming scents of cinnamon and had a perfectly sweetened frosting. Hazelnut praline and chocolate cake - this looks very heavy, but again this had a light sponge with a fresh frosted top. Something a bit different. My husband loved it. I haven't even mentioned the teas yet. We had a total mix, ranging from chais to simple afternoon teas. All are unique house blends, but don't be afraid of asking for a recommendation. Tracey is very knowledgeable regarding what might suit you. 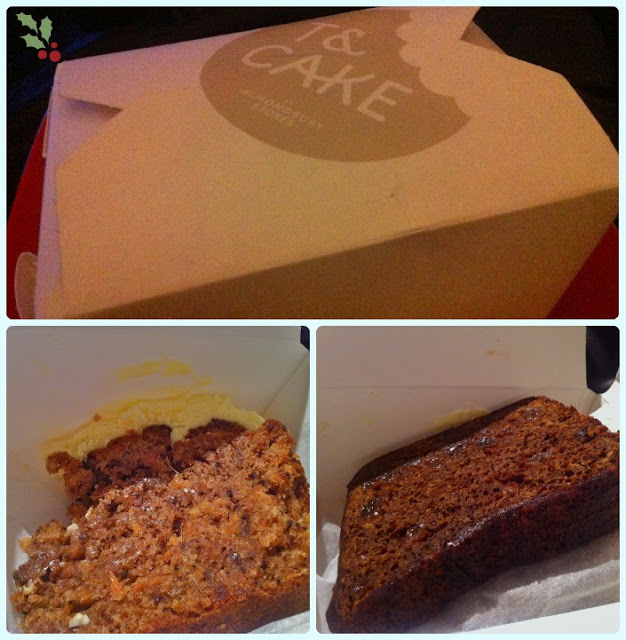 We even took a couple of slices of cake home for when the sugar rush wore off! These are beautifully packaged in little white cakeaway boxes, complete with the same branding. I can now say hand on heart that their malt loaf is perfect with a hot cup of tea for breakfast! T&Cake have clearly worked hard to improve everything they put out, despite the fact it would have been fine to leave things 'as is'. They love what they do, and I doubt they will ever settle for 'good enough'. As Stephen put it 'we've got rid of a few rough edges'. They cook what they enjoy making, and have fun with specials rather than have a ten page menu. If you enjoy good food, a relaxed atmosphere and a huge slab of something sweet, I urge you to visit T&Cake. The rarebit I had surpassed the one from our original visit. Dare I say it, think it was even better than the one from St. John's. With it only being an hour's drive away, we need to go more often! And can make out the prices on a few and they look reasonable.